Inside: Teaching about Martin Luther King Jr. in Spanish class and celebrating Black History Month in Spanish class with a focus on afro-latinos. Embrace the diversity of the Spanish speaking world with your students. This week the perfect thing to talk about is Dr. Martin Luther King Jr. 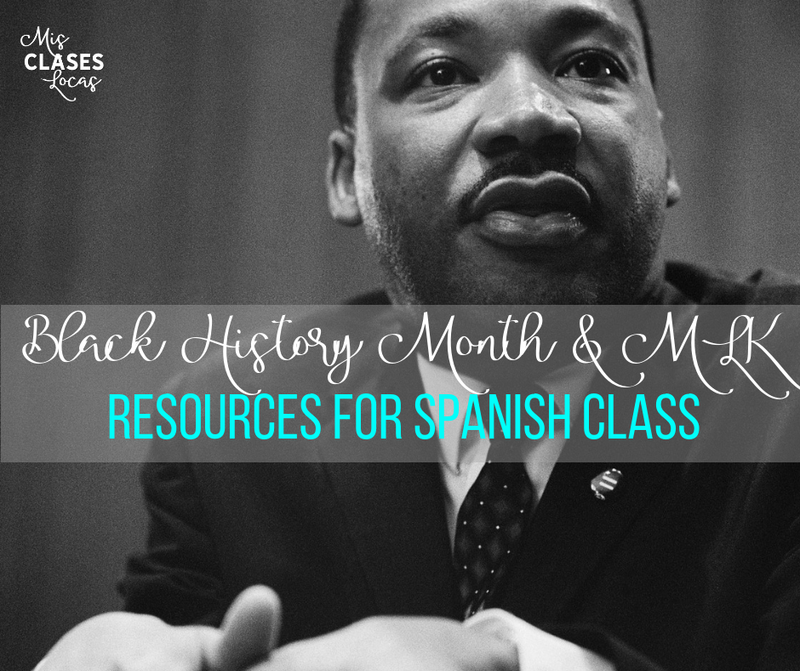 If you do not have a chance now, these resources could be used in February for Black History Month. My Spanish 2 class will soon be reading the novel Felipe Alou, which ties into civil rights and MLK. 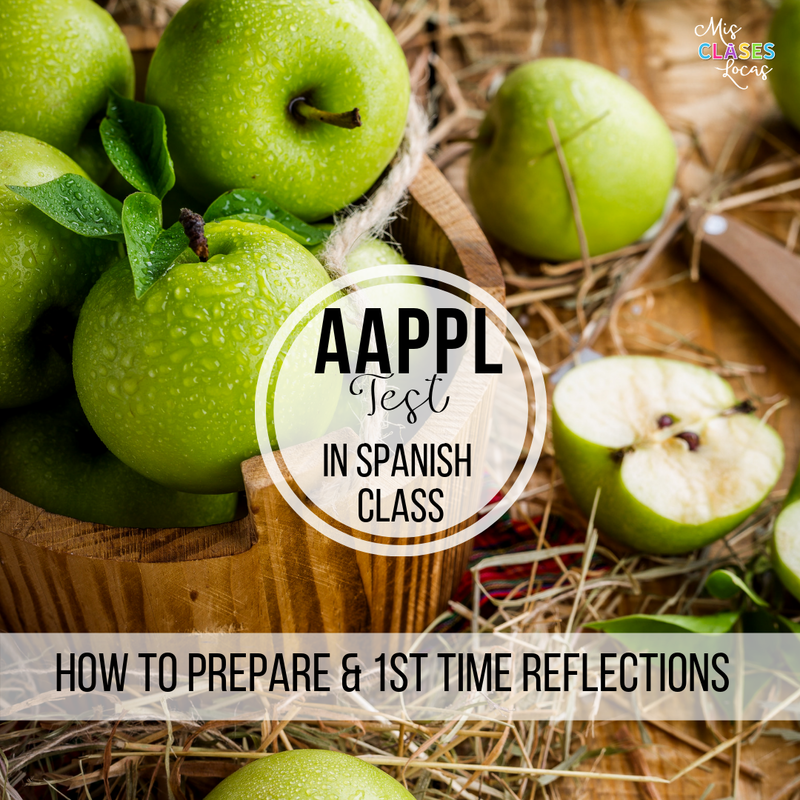 There is a slideshow in the teacher guide that I plan to use. Or to honor his legacy your classes could participate in a day of service. 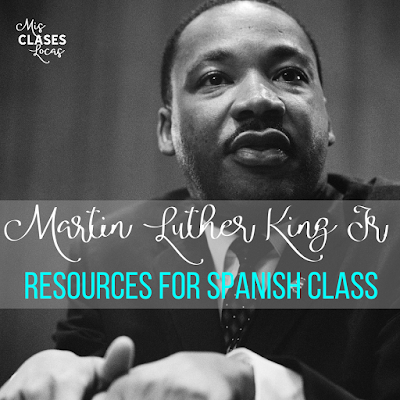 Below are other resources to celebrate the life and legacy of MLK. 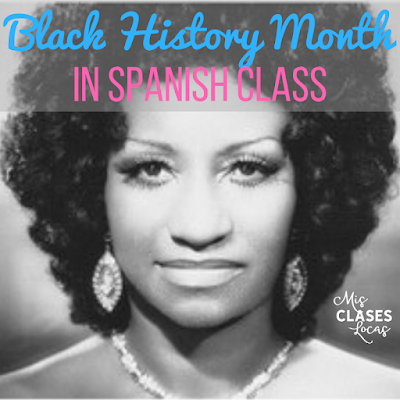 The month of February is the perfect time to celebrate Afro-latinos during Black history month. 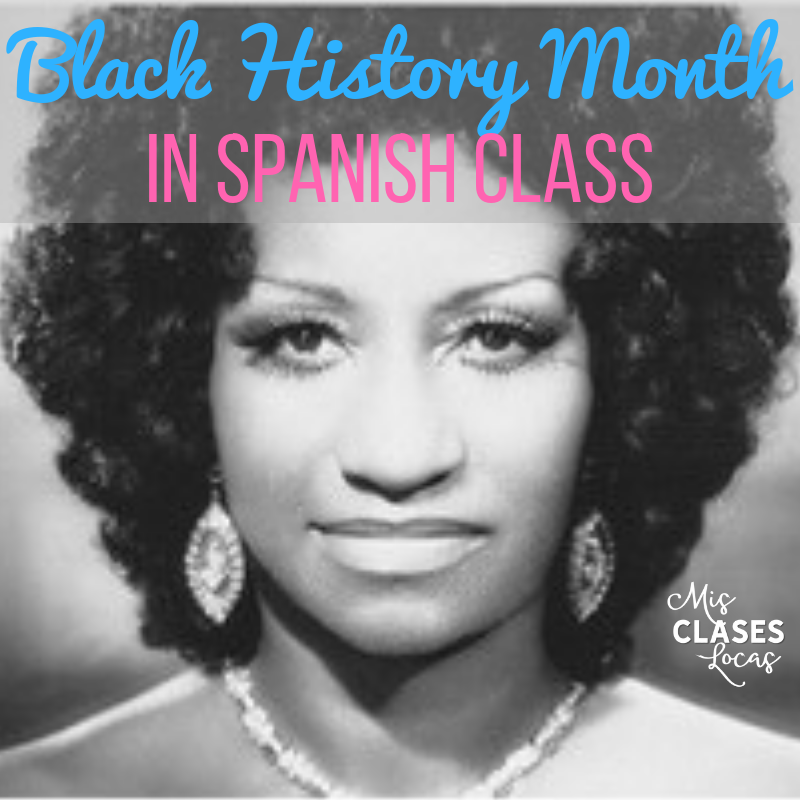 I know that technically it is celebrating African Americans, but as a Spanish teacher, I am trying to expose my students to the variety of ethnicities through the Spanish speaking world. 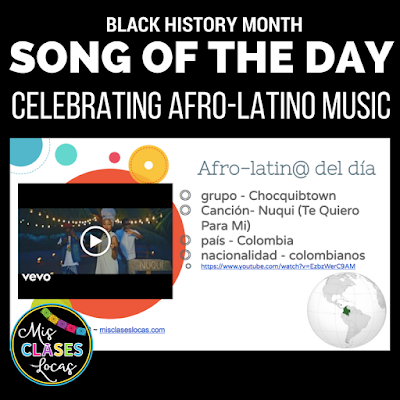 My favorite way to introduce culture is always with music, so I created a slideshow to show and celebrate afro-latino musical artists. 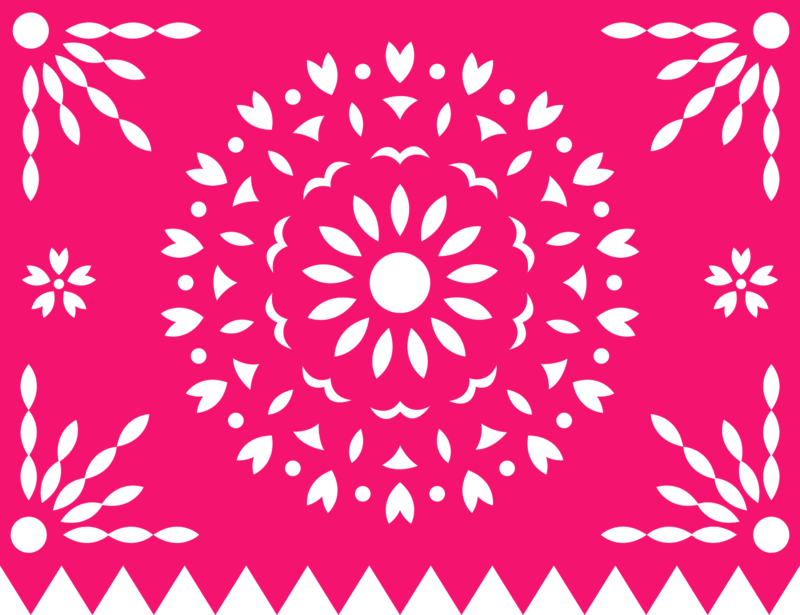 It has classics like Celia Cruz and Susana Baca, mixed with current hit makers like Choquibtown and Tego Calderon. 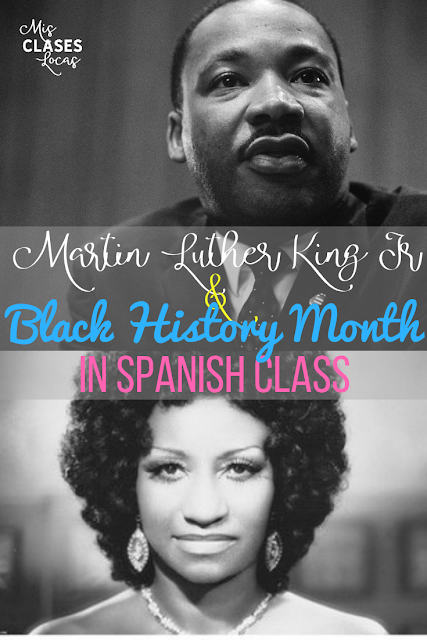 Below are some other great resources for Black History Month as well. What resources do you have as well? 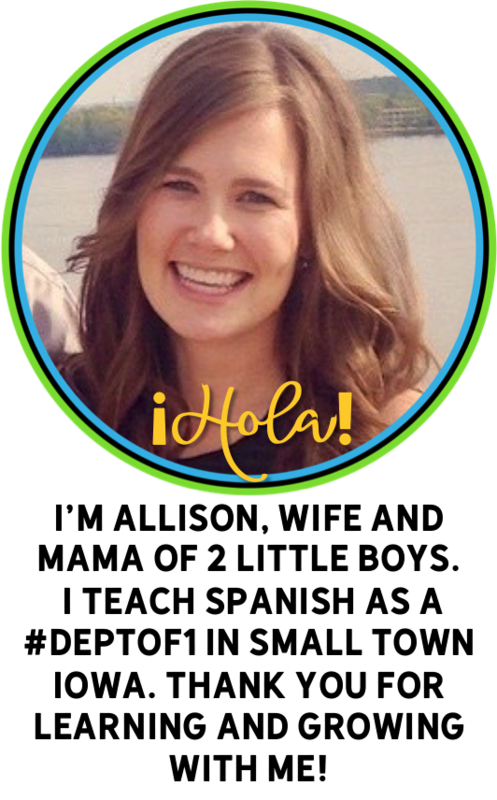 Please share links!